I have been following a low carb diet now for about a year. One of the things I struggle with is the idea that fruit is full of sugar. Well let me tell you when it is 30 degrees outside and someone puts down a bowl of fresh watermelon, I’m all in. I mean it a great source of water right? Do you ever find that it is hit or miss when it comes to picking watermelons? Sometimes you end up with a flavourless 10 lb ball of mush, while other times it’s so sweet your tastebuds are doing the tango. Well after having a long conversation with friends around the dinner table about how to pick a watermelon, I figured that there must be others like me that have no clue. So you are welcome! 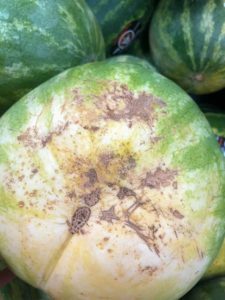 #1) FIND THE FIELD SPOT – The biggest indicator of a good watermelon is the field spot. This is the yellow/creamy colour on the outside of the melon. It is the spot that was resting on the ground while it was growing. The more dark yellow this spot is means it was ripening on the vine longer and will be sweeter. If there isn’t a spot or it is light, the less time it had to sweeten, I’d be putting that one back. #2) WEIGHT – Find a melon that feels heavy for its size. It means there is more water in it or in other words, it’s juicy. 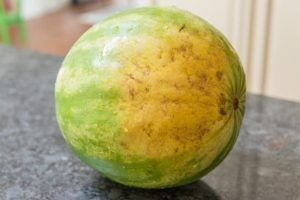 #3) LOOK FOR SPOTS AND DOTS – If you see black spots on the melon, this is where the sugar would seep out of, indicating that it is sweet. If you see a bunch of dots in a line that are not scratches, these are the pollination points, the more of them the better – the sweeter it will be. So don’t gamble with your melons. 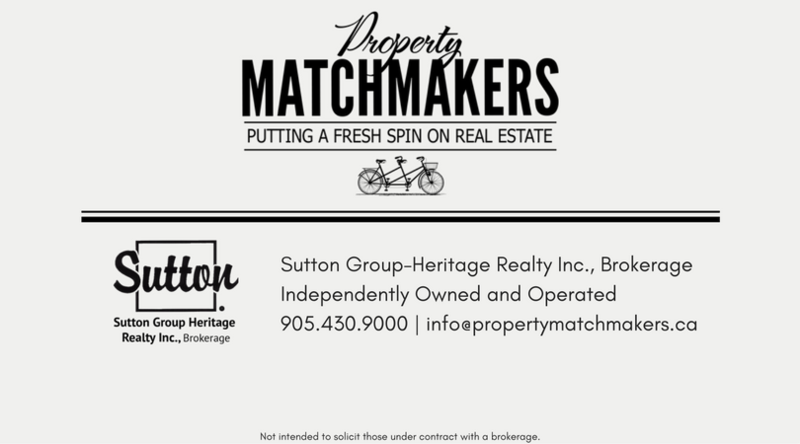 Follow these 3 tips and you have a better chance of picking the perfect one. Don’t just knock on it and pretend like you know what you are listening for. 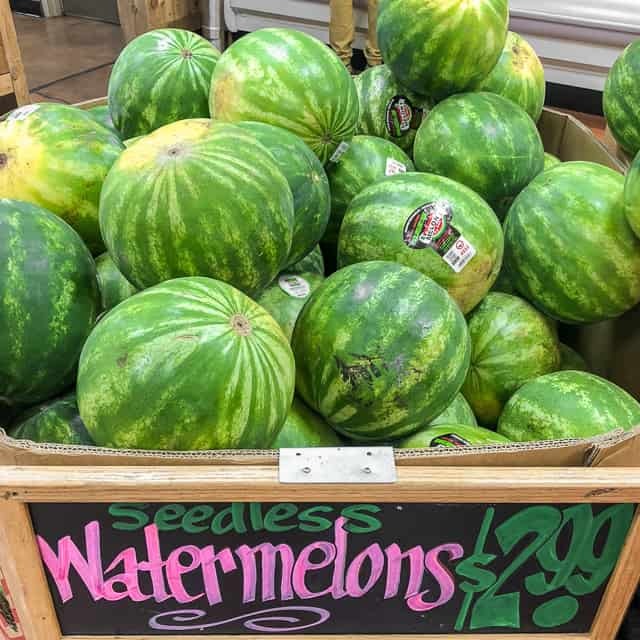 Impress all the people huddled around the big box of watermelons at your local grocery store. Enjoy and don’t forget you’ll need a napkin!